*Free off-street parking in the Truong Thanh parking lot directly across the street! We love to host gatherings, weddings, birthdays and special events! We love to cater amazing treats, breads and desserts. Contact us for more information! 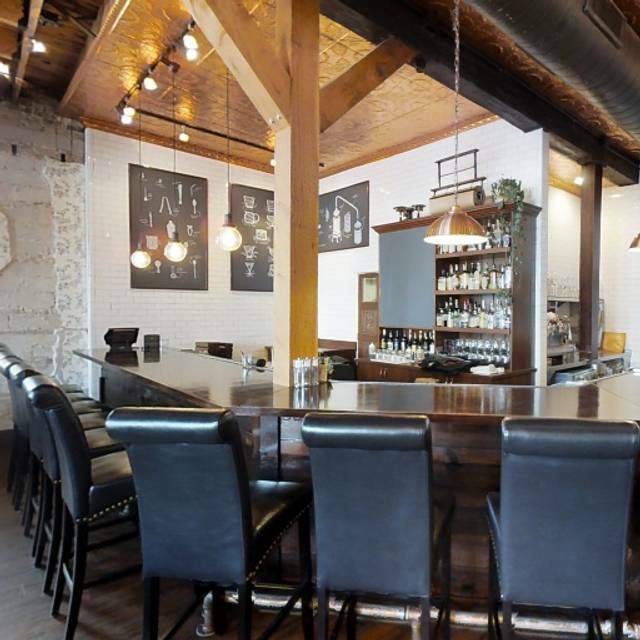 The Copper Hen provides farm-to-table food, craft cocktails, cakes, bread, wine and beer, bringing locally sourced, premier eats to Minneapolis. We specialize in creating elegant classic dishes and incorporating modern touches to bring you an unforgettable dining experience. 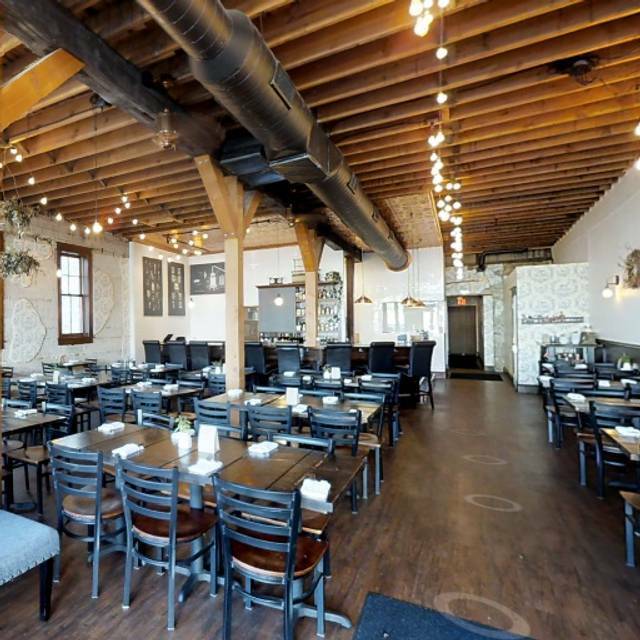 From piping hot chicken pot pie to classic old fashioned's and even gorgeous wedding cakes, The Copper Hen makes everything from scratch and sources as many ingredients as possible from local Minnesota farms and businesses. 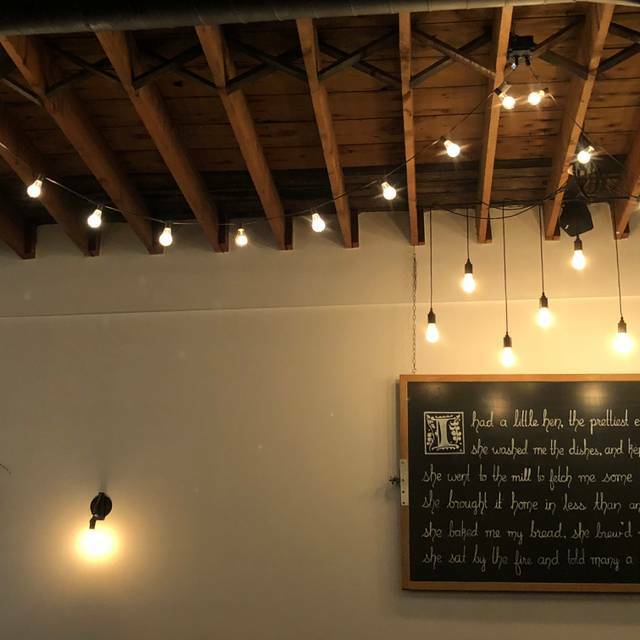 Perfect for families, friendly gatherings, happy hour, brunch, dinner on that special night out or drinks and dessert after a show - The Copper Hen has a little something for everybody. 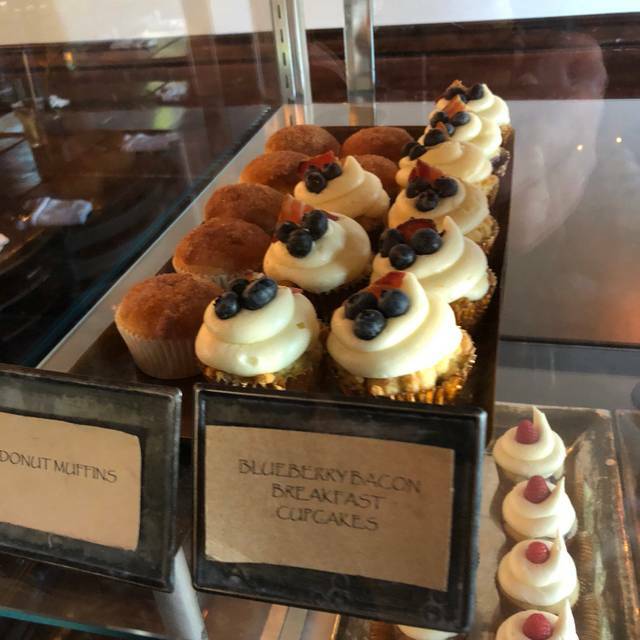 Amazing food, desserts, Happy Hour and our signature Farmhouse Brunch on the weekends. three warm house-made pretzels served with a warm house-made ale cheese "whiz"
This was our second year having Easter brunch at The Copper Hen. We chose it again because the food is wonderful and unique and because one member, of our group of 8, has celiac disease and is dairy intolerant. In 2018 the servers were fantastic and the chefs made her a salad, like the one being served but without cheese, gluten free toast, and were so helpful making sure everything she ate wasn't prepared with butter. This year, 2019, the server said there were no special requests allowed. I had even spoken to the manager on duty on Easter, before our brunch, the week before in person. She assured me they would substitute for her. Told this to our server and she still said no. Fortunately, the chef came out and spoke to our friend with the allergies and told her what was safe for her to eat. I would rate this visit higher because I feel that in general they do try to be accommodating. We were just very unhappy with our server and that the manager did not follow through for us. The duck hash was very dry, which was really disappointing. We also had a table that was basically in a walkway, which was frustrating. I could understand a table there on a quiet weekday, but for easter, they should really take it out, or at least not seat it. Easter brunch was very plain - scrambled eggs, bacon, sausage, biscuits, gravy, and rolls. Nothing seems fresh out of the oven - cold eggs, dry carmel rolls, thank goodness for the cinnamon butter which was amazing. 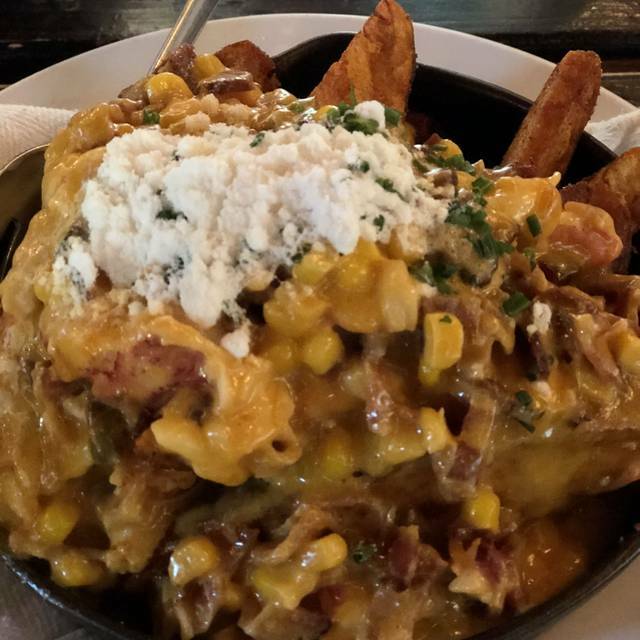 Copper Hen is always great and a fresh, well-executed take on brunchy comfort food. The restaurant was extremely loud. Too loud to hold a conversation comfortably. The food was good but fairly high priced for what was offered. Super good service. Food was amazing and bottomless mimosas are a steal. It was my first time coming here and I will be back! The Copper Hen has amazingly friendly staff and they were very accommodating when we asked for a window seat instead of by the back batrooms. The ambience is lovely and very trendy, however I found the food somewhat bland and over priced. I wouldn't recommend a friend there based on food. Delicious dishes, fresh ingredients, great drinks, all boxes checked! For reference I have worked as a server for years at multiple different restaurants. We had came for our reservations for a Sunday brunch with myself, significant other and another couple. It is wonderful that the Copper Hen offers free parking, however it was full and took 25 minutes to find a space 5 blocks away. This made us late for our reservation and when calling to notify the hostess "we are here but struggling to find parking and should be there shortly!" the response I heard was "so what I am hearing is you are late for your reservation" it came off with an attitude and no understanding with the frustrating situation we were in. So I had my SO drop me off so I could then check in as I was 10 minutes late at the time. We got sat shortly later - our server was phenomenal, very attentive even though it was high volume. We got our food : Farmers hash (w bread pudding) was delicious ! Biscuits and gravy was reported over priced for taste. Yet we can appreciate the price due to Copper Hens awesome farm to table methodology which we are happy to support. PLUS bottomless mimosas for $11 (how can you go wrong?) Also some adorable bloodies with dessert and bacon (YUM). The aesthetic is gorgeous - I can see why people want their weddings held there. It was quite noisy because it was busy but is definitely still worth visiting at least once. (We did however sit in the back which helped, maybe request this on busier times). Overall great experience ! Lost a star due to parking frustrations (not restaurants fault though..) attitude of one (of multiple hostess') and crowded/ noisy. Great food at Copper Hen, consistently! Service was fine--one entree came later than the rest. Otherwise, a great experience as always! We were in Minneapolis for the weekend and luckily found The copper Hen for brunch. What a fantastic place. The server was terrific...helpful, smart, attentive and not pushy. If I lived in Minneapolis, it would be a regular stop and should be for any visitor. The server was not paying attention to us. We had to ask the other servers to get my wine, coffee , spoons for ice cream , etc..,. Was expecting more since I read good reviews from other people.. the Maitre d saved that dining experience . He was so very nice and kind to my aging mother . He was one of those who also attended in our dining needs . Super great food! Very fresh. Had the burger with bacon and fried egg and couldn’t have been better. Absolutely would recommend. A group of 5 of us went here for dinner. All of us had never been and all visitors from out of state. We were all beyond pleased with our experience. The food was delicious and we strongly recommend the coconut cheesecake and the chocolate chip cookie. Both were fantastic! 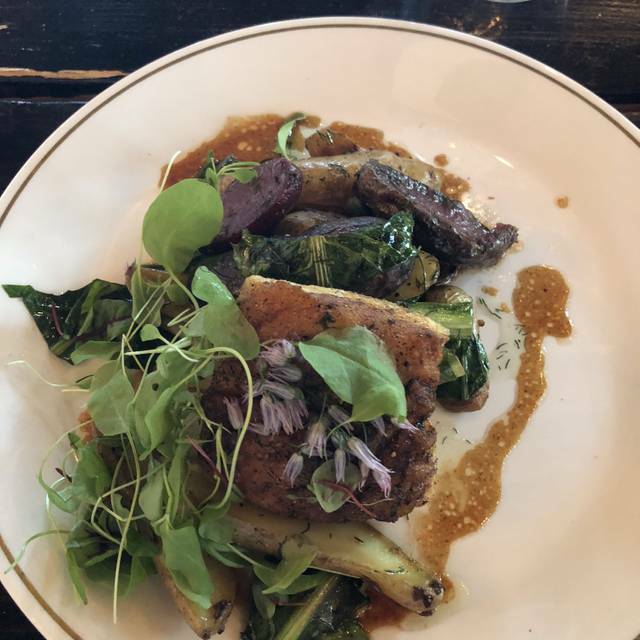 We had a delicious meal and enjoyed our time at the Copper Hen very much. You were recommended to us by a family member. Had a wonderful server named Chris. The background music was loud for us, and we asked to have it turned down and they did that for us. A most interesting menu of yummy selections and great friendly service! WE took a friend to the Copper Hen to celebrate her birthday yesterday and had a wonderful time. At first we were surprised there was not a lunch menu, but ended up being delighted with our delicious salad and the pork hash. It was very busy due to Art in Bloom, and still our waitress was attentive and very good. All in all, it was a great experience and we will go back for sure! Wonderful atmosphere! Went with four girlfriends for lunch. Stayed for 2.5 hours! Great food, service and lovely interior. I will be back for sure! always an amazing experience at the copper hen! Great food and bottomless mimosas! Good if you want local fare. Never in my life have I been told I can’t have egg whites instead of scrambled eggs because “we’re too busy and we’re strict on our menu.” What?! You can’t strain a yolk?! That tells me they’re premade. When I’m paying $15 for an egg plate, I expect to have them the way I want. I was excited about the root veggie hash but it was completely mediocre... the chicken sausage was spicy but good. The bread pudding French toast was good but nothing to write home about. The funny part was they provided real maple syrup but for the big thick piece of French toast you got about 1/2 a tbsp of syrup. They don’t allow you to pour your own. It was ridiculous for a $20 total breakfast. I would never come back here. I’ve been going to Copper Hen many times now and this service was certainly not the best. I always enjoy my time here and this time - because it was a special moment - I just think it could have been better for a variety of reasons from the service to the food. I understand that during the rush of a morning breakfast, things can be chaotic. But it’s important to make sure all guests feel valued and remembered. Still a place I enjoy. 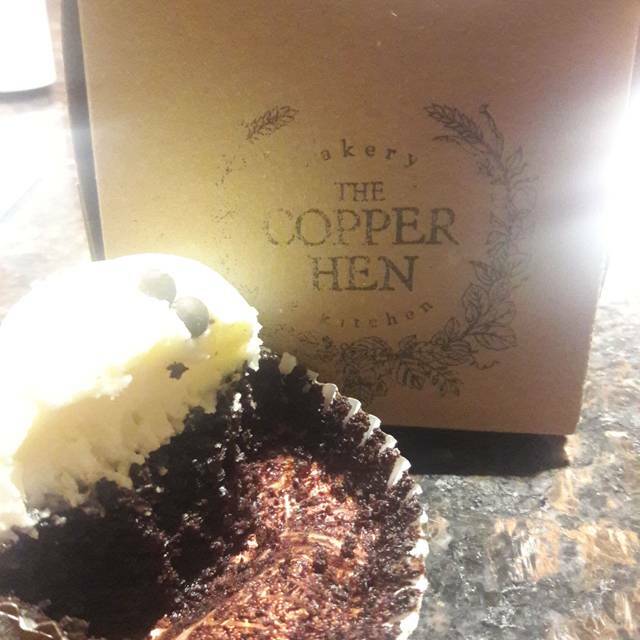 I had a great experience at The Copper Hen. I loved the ambiance, the food, and location, and especially appreciated being able to make our reservation online. The hostess was also able to text me when our table was ready, so we looked at the cute little shop next door while we waited. I will definitely be visiting again soon! I took my daughter who is on wheelchairs. Little girl. They gave us good seat. Just food is little overpriced . But I will go there again. Good food. Usually a high energy crowd for brunch. 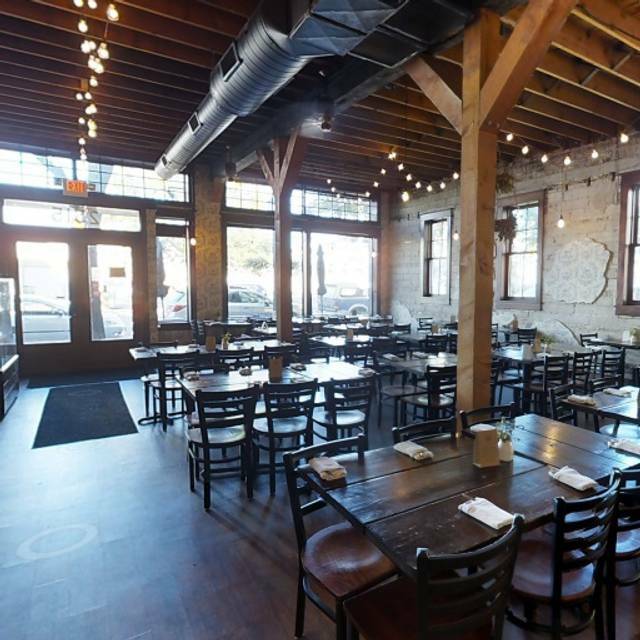 With OpenTable resy, the wait is negated. Absolutely fabulous. Went for a celebratory lunch and had s spectacular time. Fabulous place! The hand pies are to die for. Best crust I’ve ever had with perfectly tart fillings. Have had cherry and blueberry lemon. Highly recommend both. Also the bread pudding French toast, root vegetable hash, sage breakfast sausage and eggs Benedict are all excellent! Love this place! 3/31/19 We where a party of 4 for brunch. Noise level was high in main area so we were glad to have been seated in the south bar area. Service was slow. We waited longer than usual after being seated and when we ordered our bottomless mimosas, it took a long time before receiving them. When there are carafes of mimosas everywhere for servers to use, I would expect quicker service. The food came out hot. I enjoyed the classic Benedict, but the breakfast potatoes were disappointing. The crabby toast was fair. The crab cake a bit more mushy than desired. Biscuits and gravy were good. Eat Street parking can be an adventure. What a great bunch gem! Beautiful decor and unique delicious food. They were also very accommodating to our children !! Very nice restaurant on eat Street. Made from scratch, homemade country kitchen is the fare that is offered. We particularly liked the lobster fries. My wife had the Mac and cheese and I had the pot pie. Both were served hot in a small cast iron skillet and both had nice and unique flavors. The dinner did seem slightly pricey for what was being offered but not too bad. Ambience is very nice and well thought out. For this type of restaurant the table layout is not too packed with plenty of space along the perimeter. Nice chance of pace! First time to Copper Hen. Would go again! They have put together a nice atmosphere and menu. Loved the potato fries. Scallops were nicely done. Parking is terrible even with the lot. Looking forward to going again. The food was wonderful here. We had the avocado toast for starters and I enjoyed the Farmhouse Salad with scallops. My girlfriends enjoyed their meals too. 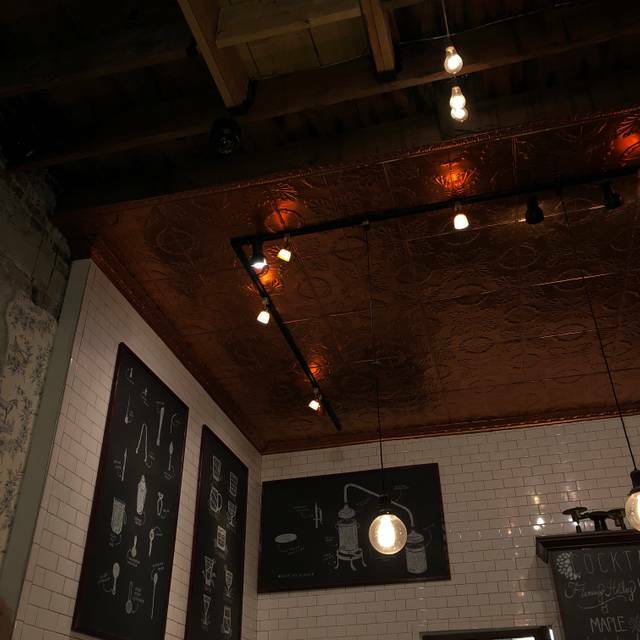 The restaurant setting is casual but upscale. My only complaint is that the copper chair I was seated in had no back support and so was uncomfortable. There are other seating options in the restaurant, just avoid those by the bar. Definitely a place we will come back to. My only complaint is the noise level. It’s great that you’re having a Birthday Party, but I am trying to talk to my friend I haven’t seen in four years who just lost her partner and is raising two small kids alone. My complaint is not about the staff, but what the guests are allowed to do. Go to the warehouse district if you want to scream in a restaurant at noon on a Saturday. Great service! The ambiance was great, but the food was average. A favorite spot, and as always, great food! A must stop place! !